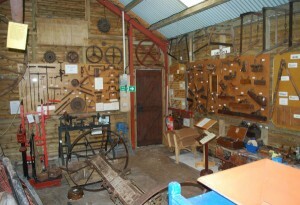 The museum houses a unique collection of over 5000 artefacts from the smallest handtools and household items through to large agricutural machinery and vintage tractors.The museum portrays rural life in Monmouthshire covering a period of approximately 100 years from 1850 – 1950. 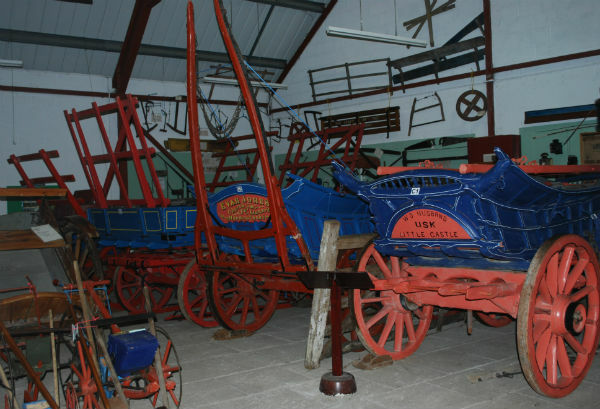 The collection is housed in a 16th century malt barn and an extensive collection of adjoining buildings. 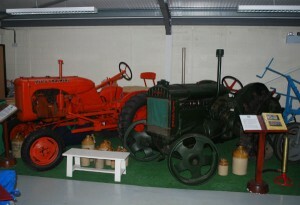 We have a large collection of old photographs, books and farm records which are available on request for the purposes of reference and research. In addition we have recently undertaken an oral history project to record the knowledge and recollections of some of the older residents of Monmouthshire. They provide a fascinating insight into rural life and the wartime activities of the LDV and Land Army. Specialist collections include a Victorian cottage, a forge, carts, a cobbler, cheese making, WWII (including a bomb! ), a stable, a hardware shop and many more.